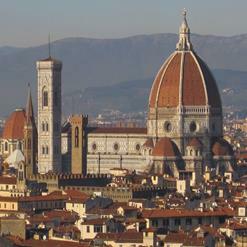 Now in function as an art museum, Bargello was a former prison and barracks in the city of Florence. This museum houses some of the notable artworks of Michelangelo and apart from sculptures, there are also other artworks featured in the museum including ceramics, silver, ivory, tapestries and old coins. Its walls witnessed important episodes of civic history. Visitors can also admire the Donatello's marble statue David and Saint George, as well as works by Luca della Robbia, Verrocchio and Benvenuto Cellini.